A recent revelation in business is that subscription models are a gold standard for making money. The logic is pretty straightforward. A subscription service locks consumers in to pay some amount every month and/or every year. Thus, subscription revenues are annually recurring, meaning they don’t have much volatility because they happen every year. These models also scale well, usually lend themselves to huge profitability, allow companies to develop and capitalize on a loyal customer base, and allow for easier inventory management. This recent revelation has caused a bunch of companies to pivot into subscription models. But not all have been successful. With that in mind, here’s my three favorite subscription service stocks in the market right now. All three have not only successfully mastered the subscription model in their business, but are also primed for huge growth in their subscription business over the next several years. 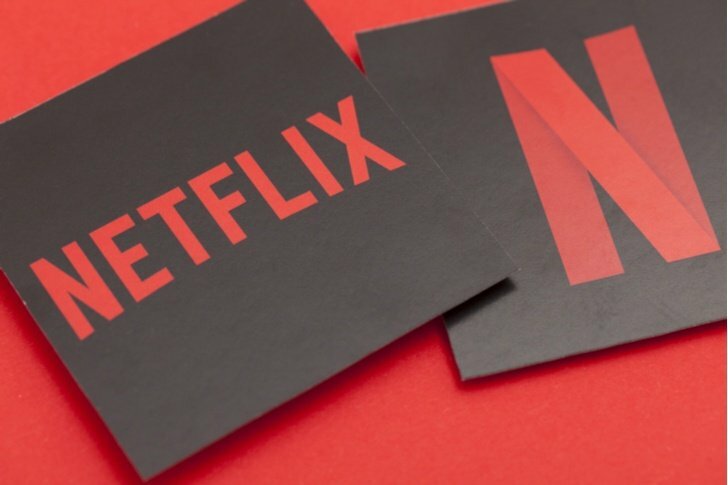 The undisputed king of the subscription service model is Netflix, Inc. (NASDAQ:NFLX). To state the obvious, Netflix makes money by selling subscriptions to its video streaming platform. 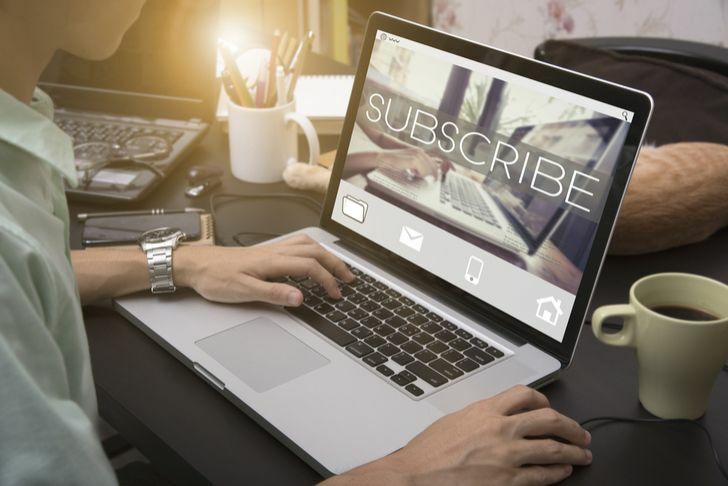 With each new subscriber, the company’s economics improve because that is another person paying for access to content which had a fixed cost to produce. Thus, Netflix’s business is one wherein as the subscriber base grows, the amount of revenue each content asset produces inevitably increases while unit content production costs remain fixed. From this perspective, Netflix’s business scales very well through subscription growth. Not only will revenues roar higher, but so will profit margins. That combination should lead to super-charged earnings growth, and super-charged stock price growth. The big question with Netflix stock is whether or not the present valuation is justified in light of what will soon be a hugely competitive internet TV market. Not only is Walt Disney Co (NYSE:DIS) pulling all its content from Netflix next year and launching its own streaming service, but AT&T Inc. (NYSE:T) will presumably leverage newly acquired Time Warner Inc assets to build out its own streaming solutions, too. Plus, Amazon Video and Hulu haven’t gone anywhere. Thus, tomorrow’s internet TV landscape will be a lot more competitive than today’s internet TV landscape. As such, near-term valuation is a concern for Netflix stock. But longer-term, this is a subscription service stock with mega-growth potential. Second to Netflix only because the company is more known for selling iPhones, Apple Inc. (NASDAQ:AAPL) has a huge and rapidly growing subscription services business that will inevitably drive the next leg of growth for this company. Apple’s hardware business is largely dried up. Yes, the Apple Watch is experiencing rapid growth, and the company’s smart home products do have a solid runway ahead of them. But when it comes to the company’s core iPhone, Mac, and iPad markets, those are pretty much fully saturated. Everyone who wants one of those smart devices already has one, so growth is now constrained to upgrade buyers and price hikes. Two years ago, that would’ve been a huge problem for Apple stock. But today, an iPhone demand slowdown doesn’t really matter. Why? Because of Apple’s Services business. 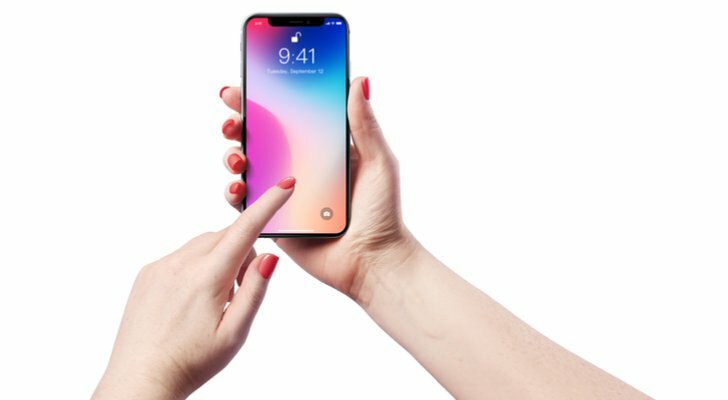 In short, Apple has finally figured out a way to monetize its massive ecosystem through various subscription businesses like iCloud, iTunes, App Store, Apple Music and others. The sum of these subscription services has robust demand, and is driving 30%-plus growth in Apple’s Services business. Better yet, these subscription services are annually recurring revenue streams with big margins. Thus, over the next several years, Apple’s notoriously lumpy revenues based on hardware product launches will smooth out, and margins will ramp higher. Even at all-time highs, Apple stock still isn’t that expensive. That is especially true when considering this company is transitioning from hardware to software. The net result of that transition will be higher earnings and a higher multiple for Apple stock. Last but certainly not least is Adobe Systems Incorporated (NASDAQ:ADBE). The creative solutions giant is smaller than both Netflix and Apple, but its dominance is arguably bigger. Apple has multiple competitors in its various hardware and software markets. Likewise, Netflix isn’t the only legitimate player in the internet TV space. But when it comes to creative solutions, Adobe has no peer. That is why when the company decided to shift towards a subscription business model a few years back, and force customers to start paying multiple times for what they formerly only paid once for, irked Adobe customers made the switch anyways. Of course, there were complaints. But those complaints didn’t materialize into anything. There was no churn. No push-back. Just huge growth in Adobe’s subscription businesses because creative professionals had no alternative — Adobe is everything in the creative solutions world. This dominance is also why Adobe’s profit margins continue to roar higher. Because the company has no peer, Adobe has the ability to raise prices on its subscriptions without any meaningful churn. Adobe has done this a few times before, and the net result is just bigger margins on a bigger revenue base. 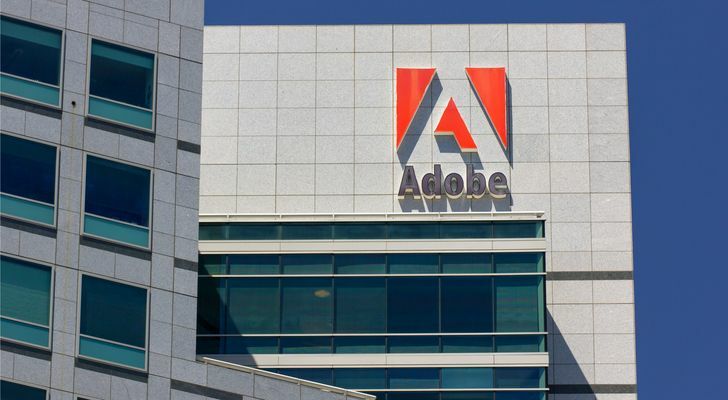 Consequently, big growth at Adobe is here to stay for the long-term. But the stock does look a bit over-stretched above $250. The company just reported yet another double-beat-and-raise quarter, but the stock fell after those numbers. A weak stock on strong numbers implies valuation friction. I think that is exactly what we are getting with Adobe stock, so I wouldn’t be surprise to see sideways trading action materialize over the next few months. But over the long-term, Adobe stock is a big winner that will only head higher. As of this writing, Luke Lango was long DIS, T, and AAPL. Article printed from InvestorPlace Media, https://investorplace.com/2018/06/3-subscription-service-stocks-huge-long-term-growth/.